There has been a recent, refreshing discussion on the shape and necessity of our welfare state. The Welfare State is used to refer to the various administrative arrangements which redistribute the nation’s wealth to assist the more needy citizens in our midst. The discussion was initiated in the T&T Review of January 3 in Gregory McGuire’s thoughtful and solidly-based review of the welfare spending trends and their wider consequences. The responses ranged from a two-part article (Part I & Part II) in the Express from Professor John Spence, with an attempted rebuttal from Dr. Errol Mathura in the same newspaper. From the Guardian, there has been a serious commentary on Sunday 16 by Dr. L Trevor Grant – ‘Curb escalating poverty in rich T&T’ – and the editorial of Monday 17, dealing with the fate of the empty HDC houses. That Guardian editorial – ‘Housing Shame’ – was based on the reports of an investigation into the situation at several of the HDC virtually-completed, but unoccupied housing projects. Sunday’s Guardian headlined with ‘Scandalous’ on an abandoned $156M HDC project and that is my point of discussion on this Welfare State matter. The empty homes built by the HDC are symbolic of a serious need to re-examine our housing policy. Above and beyond the case of the vandalized HDC homes, the fundamental public housing situation is scandalous. Scandalous is my word to describe a policy of allocating of scarce resources to build homes, without satisfying the needs of the poorest applicants. That is a blatant misallocation of public resources. Homeless – People who have nowhere to live or rely on charity for shelter. Permanent Renters – People who can never afford to buy. Transitional Renters – People who are renting now, but will end up as home-owners. Home Owners – People who own their homes. Multiple Home-owners – People who are wealthy enough to own more than one home – these people are also the ones who rent property to the others. According to the latest figures released by the Housing Development Corporation in March 2010, there are over 10,000 empty homes in their stock of newly built units. In addition, there is a waiting-list of hopeful applicants believed to be in excess of 100,000 people. How can we reconcile those figures? Dr. L Trevor Grant is the only author, to my knowledge, to have written on the plight of the homeless in our society and his column in Sunday’s Guardian gave telling details on the level of need in those communities. We have constructed a national housing policy which pays only lip-service to the housing needs of the poorest applicants. The clear preference – PNM or PP – is for the applicants who qualify to buy a home from HDC. That is the only explanation for the reality of 10,000 empty new homes and 100,000 waiting applicants. There have been some recent handovers of new HDC homes to applicants featured in the press and those have all detailed the incredible length of time these applicants waited for their new homes. Waiting periods in excess of 20 years have been mentioned. There is a severe disconnect between these expensive policies to provide subsidized housing and the reality of being a poor applicant on HDC’s waiting-list. At this point, an estimated 76% of our people live in owner-occupied property. That is comfortably above the comparative figures for the USA or the UK, where the numbers are in the 68-69% range. It seems clear that we are approaching the limits to which we can realistically grow home-ownership in our country. In some ways we may already have exceeded those limits. Another point I detailed in my 2010 series ‘Housing Policy Imperatives’, was the nature of the housing subsidy being offered by the HDC. For example, if the HDC sells a home with a market value of $500,000 to an applicant for a price of $325,000, the difference between those two figures is the housing subsidy. Yes, in this example there is a $175,000 housing subsidy to each of those people who buy those homes from HDC. The big question is – if the HDC can afford to provide these benefits to applicants in the layer of ‘transitional renters’, what are the levels of subsidy and number of new homes being provided to those in the poorer layers? If that relationship does not improve to favour those who cannot ever afford to buy, we will be stuck in an increasingly frustrating housing fix. The housing fix is notable for the inequity with which the country’s scarce resources are allocated and the hopelessness of the poorer applicants. There are also secondary problems which run very deep and those include the issues highlighted in the Guardian’s story on the abandoned HDC estate. What is the cost of securing all these virtually complete, but vacant homes? I am reliably informed that the annual cost of security is of the order of $50M, yet there are still significant episodes of vandalism and squatting. 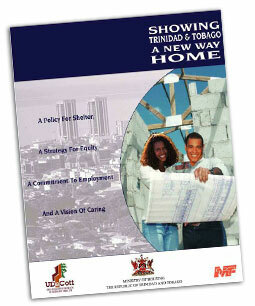 Additionally, we have to factor in the cost of maintaining and repairing the unoccupied homes. Empty properties deteriorate at a faster rate and that is a cost to the HDC which could be avoided by putting people to live in these empty homes. The estimated annual sum of $50M to secure these homes is staggering. That sum of money could build over 200 badly-needed low-income homes every year. There is a newly-appointed HDC Board and the time is now opportune for a review of this important Welfare State policy. A critical factor in all this is the role of rent controls, since the long-established rent control boards were allowed to wither on the vine by the last administration. Rent controls and the planning regime need to form a part of the Housing Policy Review. Freedom of Information Request for Duprey Letter of 13 January 2009.